Bus tables with ease with this 20" x 15" x 7" black polypropylene bus tub. 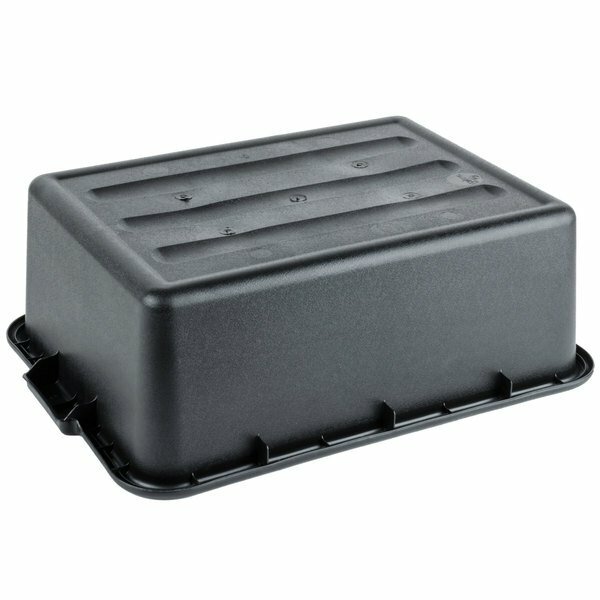 Great for everyday operations at any restaurant, this mid-sized bus box is an effective and efficient way to transport goods from the table back to the kitchen. 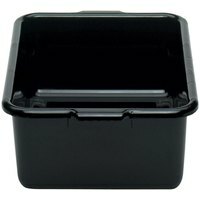 Whether your staff is cleaning up dishes, silverware, or glasses, this bus tub functions as a professional, practical option in any setting. 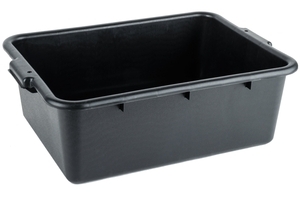 "This poly bus tub is the way to go. 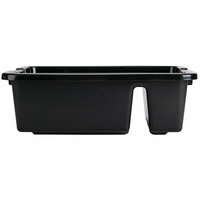 It's sturdy, durable, easy to wash, and the black color looks good even when full of dishes." 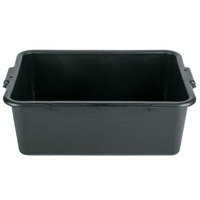 The sleek black color helps this bus tub blend in for a discreet addition to your restaurant. 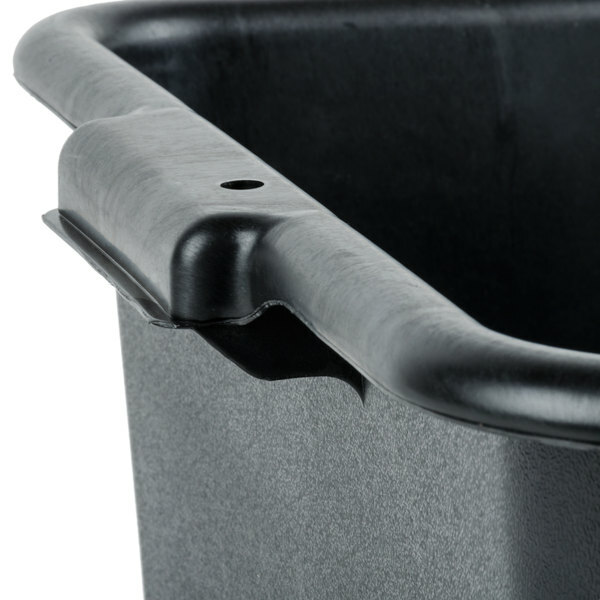 The pebbled exterior finish also adds a professional appearance as your staff works to clear tables. 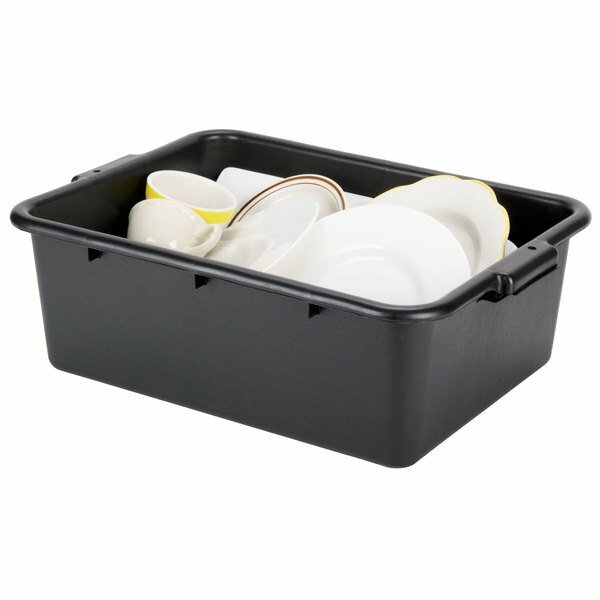 Sturdy, reinforced handles make it easy to carry this bus tub even when it's filled with dishes and silverware. 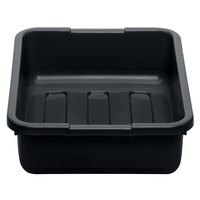 Boasting durable, polypropylene construction, this tub is built to carry even the heaviest of dinnerware. 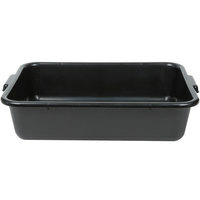 Great tub for bussing dishes back to the washing room. 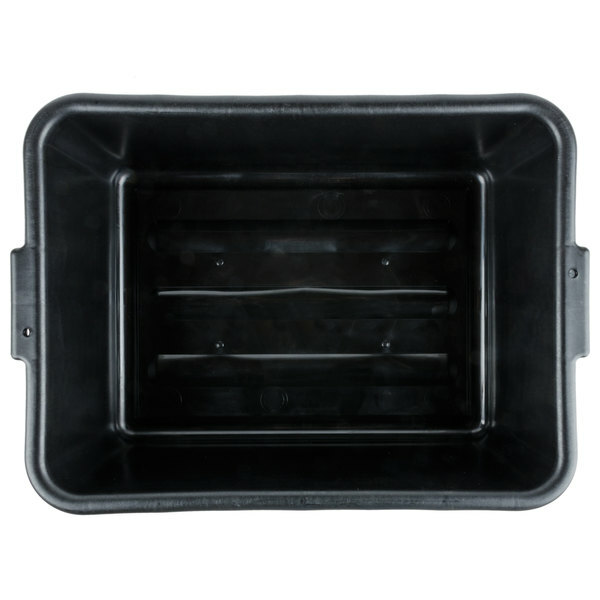 Solid side handles and solid material build ensures that dishes do not damage it. 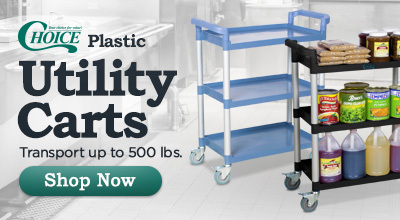 Additionally, it is very easy to clean.